The Grillfather Apron | BUDK.com - Knives & Swords At The Lowest Prices! We’re gonna make you an offer you can’t refuse! 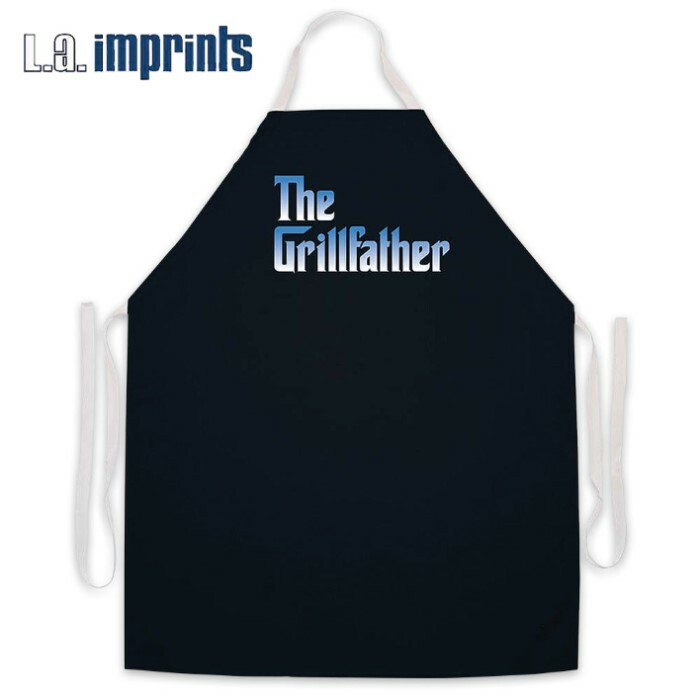 This black apron features the words “The Grillfather” printed in the classic “The Godfather” font so that there is no doubt that you’re the Don of your backyard. The apron is made of durable poly-cotton twill and is machine washable. It is 17” x 13” and is made in the USA.